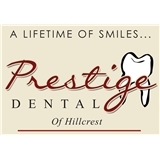 prestige dental of hillcrest (Fresh Meadows) - Book Appointment Online! *Our office accepts out of network insurance and most PPO plans. Please inquire and we will verify your benefits for you. ** Please be sure to include your INSURANCE MEMBER ID when booking your appointment online. We also treat sleep apnea and SNORING ,with lab constructed devices.Easy to use with great results. Excellent dentists office. I have been searching for such a great facility for a long time and I finally think I have found the place to stay for years to come.